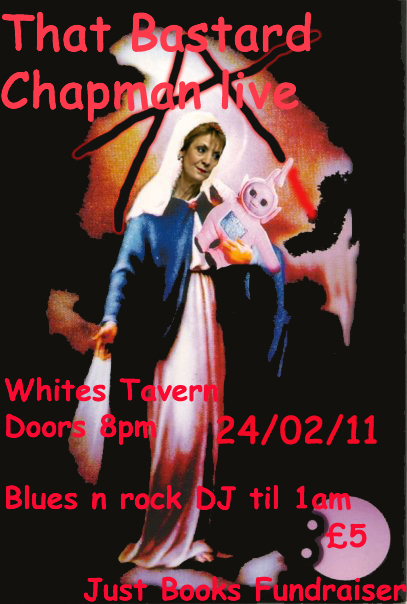 Just Books is kicking off the first music event of the new year on the 24th February courtesy of the lovely Chappy, who will be playing his unique 'blues n roll' style of musical mashings. As usual there will be a rock n blues DJ after the main gig until 1am, and all proceeds will be going to Just Books. Doors 8pm, Tax a fiver, blah blah blah.